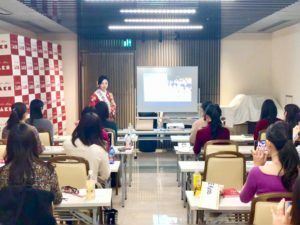 On January 26, the special program called “Nadeshiko Program” just started. 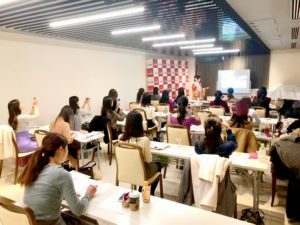 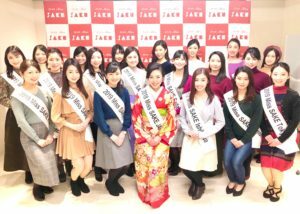 This program is specially designed for the Miss SAKE finalists to become sophisticated and cultured ladies as goodwill ambassador of SAKE and Japanese culture. 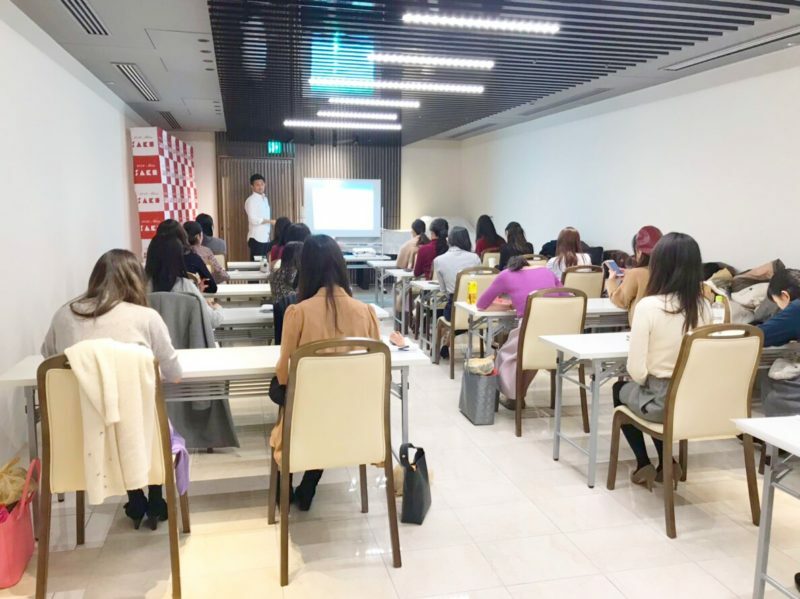 On the first day of the program, Mr. Nobuaki Aiba, the representative director of Miss SAKE Association, Mr. Shinjiro Nakamura, the secretary general of Miss SAKE Association, and I gave lectures to the finalists. 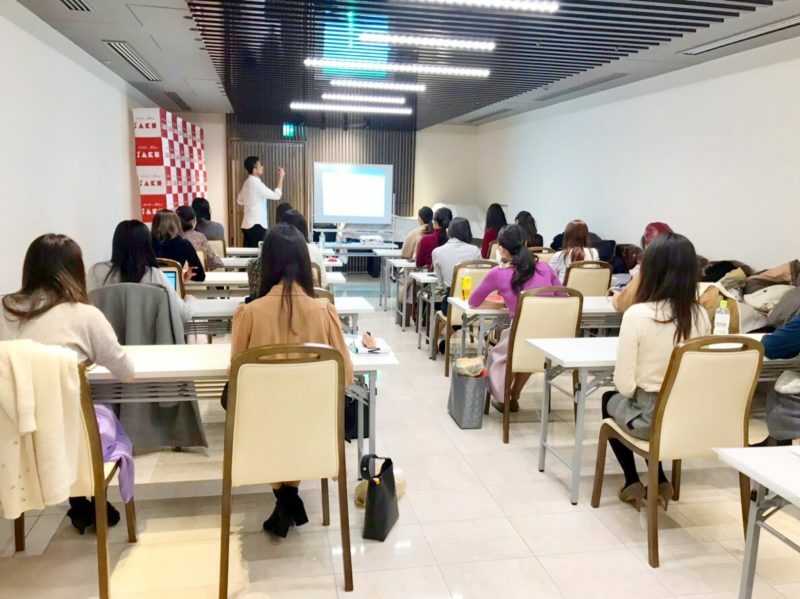 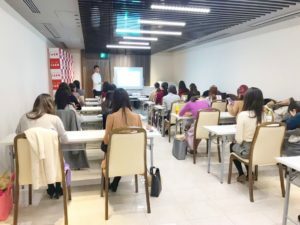 At the first lecture, Mr. Aiba, who have built up what the Miss SAKE is, talked about the required attitude as Miss SAKE finalists and the necessary preparations to become a representative of each Prefecture. And then, Mr. Nakamura gave a lecture on SNS utilization and Web literacy. 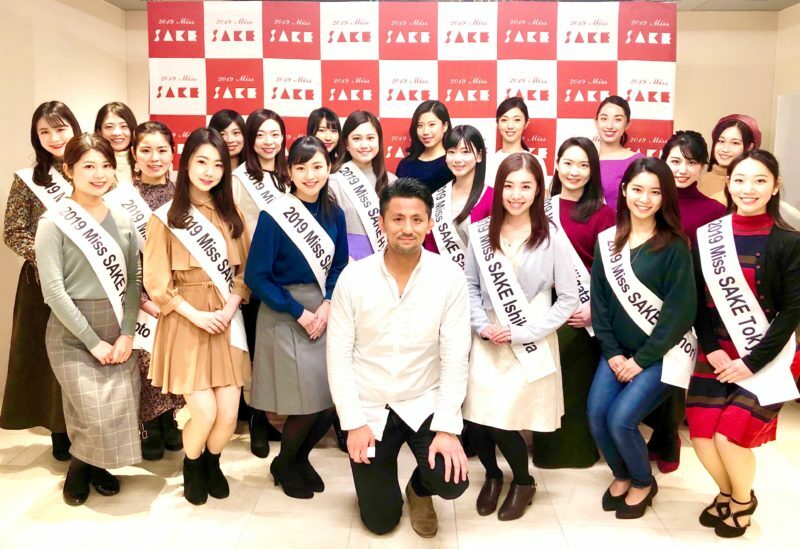 This year, all the finalists are going to open their own Facebook pages, where they’ll introduce attraction of SAKE and Japanese culture as well as their activities. 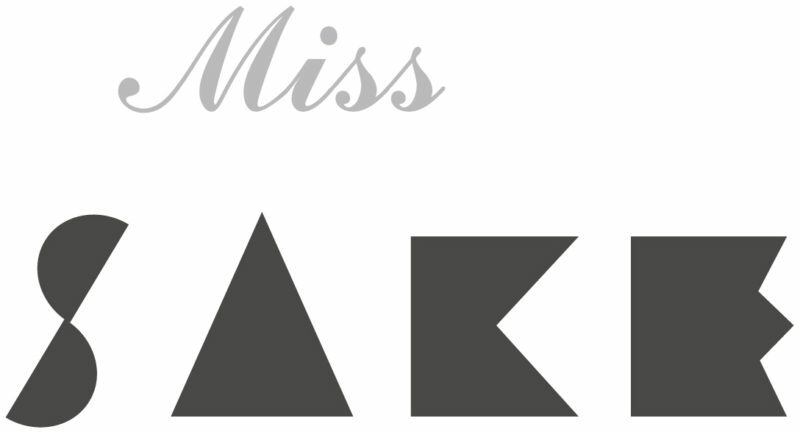 So, please look at the pages to know more about each finalist. 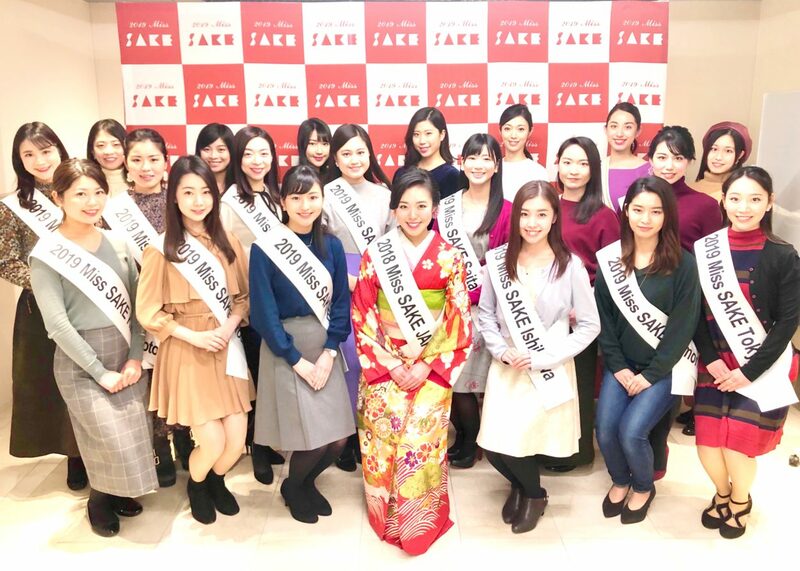 At the last lecture of the day, as 2018 Miss SAKE, I talked about what is required as representative of each prefecture and what I want them to feel and learn through the Nadeshiko Program. 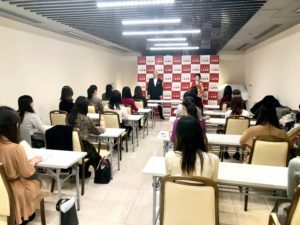 I think the program is not just the place for the finalists to “learn” and “absorb” something new, but where they can find something new in themselves which can broaden their possibility for the future. So, with a lot of gratitude to we could gain through the program last year, I’d like to try my best to support 2019 members.